The state of Florida is having a debate that could lead the state on a path to severely restrict or outright ban all abortion if Roe is overturned. In comparison to states that surround it, a parental consent law may seem like no big deal. After all, Georgia currently is debating a full six-week gestation heartbeat ban. Mississippi already passed the same. Meanwhile, Alabama has a constitutional amendment declaring that life begins at fertilization — and a young man in the state is trying to use it to sue a clinic for allowing his girlfriend to terminate a pregnancy without his permission. With so many unbelievably extreme anti-abortion moves happening all around Florida’s border, does a parental consent bill really matter at all? Yes, very much so, since it could be the end of any abortion access in the South. Florida once had a parental consent law on the books, but the state supreme court struct down the law in 1989, claiming that it violated the state constitution’s right to privacy. Abortion opponents came back with a parental notification law in the hopes that the more incremental restriction could make it past scrutiny. But it didn’t. The Florida Supreme Court again struck that law down, this time in 2003 — only to have the parental notification bill later pass through a state-wide ballot initiative in 2004. That same right to privacy in the state constitution has been used to strike down other abortion restrictions passed by Florida conservatives. In early 2018, the court blocked a mandatory 24-hour wait bill passed in 2015 that would force patients to have two in-person appointments at a clinic with a doctor before getting an abortion. Unfortunately, the judicial bench has taken a radical shift to the right in Florida, and abortion opponents are hoping that could lead a new court to rule that stopping abortion is a “good reason” for the government to interfere. As of 2019, the Florida Supreme Court is now the “most conservative since 1976,” and the far right hopes it will “undo half a century of judicial activism,” according to the Orlando Sentinel. With a new bench in place, all conservatives need to test out the court is the right law — and that’s where the parental consent bill comes into play. 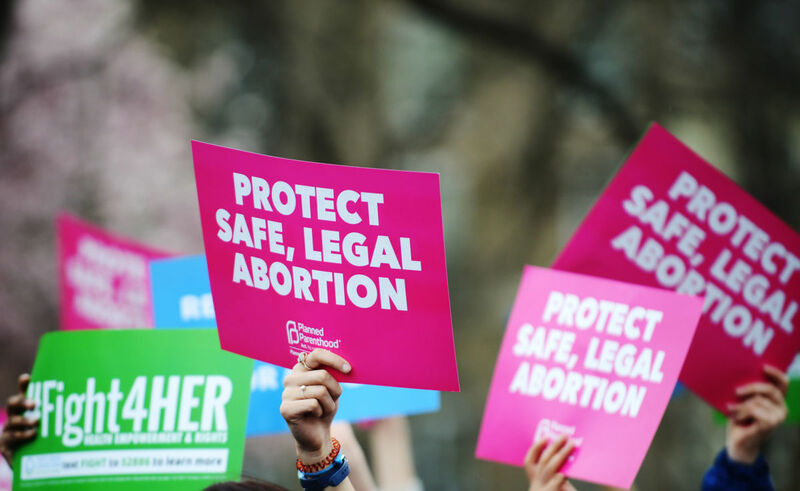 Passing the bill again, despite a previous declaration of unconstitutionality, lets abortion opponents go right back into the fray with a bill they know will be challenged. And this time, they hope, the Florida Supreme Court will agree that there are some cases where the government can overrule the right to privacy. Once that occurs, well, you can expect the ruling to be used as a stepping stone to declare that the government can always intervene when it comes to abortion, due to the need to protect “potential” life and even “protect” pregnant patients from potential harm. And if conservatives can do that, they can put the state on the path to severely restrict or outright ban all abortion when Roe is overturned. In a post-Roe landscape, Florida was positioned to be the only state in the southeast where abortion could potentially be accessible — primarily due to constitutional protections for abortion access under privacy rights. But this new high court in Florida could up end that possibility, meaning our one hope for a safe haven may completely disappear.